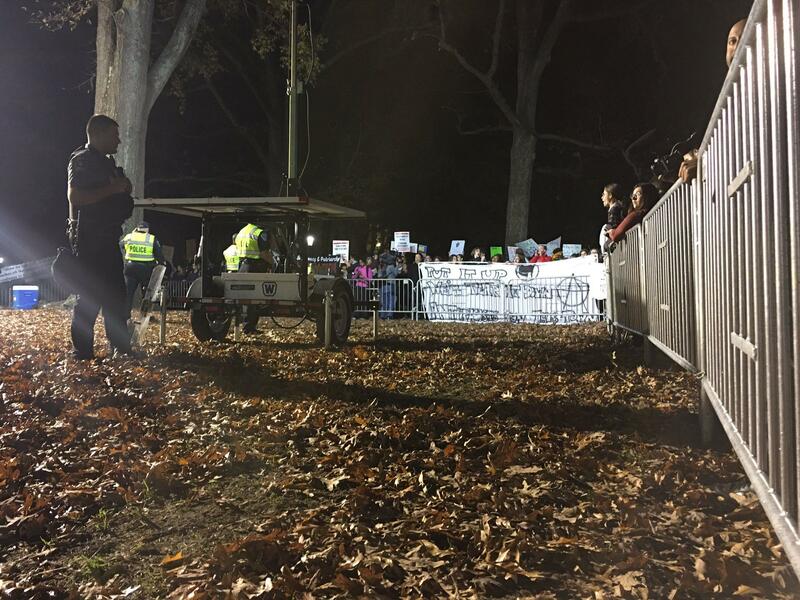 Police guard the pedestal where the Silent Sam statue once stood on UNC's campus during a protest on Dec. 3, 2018. At least one member of the Heirs to the Confederacy brought a gun to the UNC-Chapel Hill campus during a demonstration on March 16, according to UNC Police. On that date, the group, which supports the Confederate era monument Silent Sam, clashed with protesters who oppose the statue. UNC Police did not arrest at least one member of the Heirs to the Confederacy who was known to have brought a gun to campus. Police said it wasn't clear whether a law had been broken, though firearm possession is generally prohibited at North Carolina's universities. A few days later, Interim Chancellor Kevin Guskiewicz said he'd put together a committee of students, faculty and staff "to take a broader look at all aspects of community safety, including building relationships with campus police." Now, he says he'll have a list of members for a new campus safety committee within a couple of weeks.